After reading Eddies most recent blog showing his thermometer reading an impossible temperature, I decided to bring mine into work this morning and check it against our calibrated digital thermometer. I suspected that it was off a bit, and it was - 4 degrees at room ambient, and 7 degrees at 32 degrees. So now I'm in the market for a new thermometer. It would be nice to have one that can be read without magnifier glasses, and hopefully is a bit more accurate. Anyone have suggestions on a good one? They make digital "point and shoot" thermometers that are easy to read and give an instant temperature. I suspect you get what you pay for however. My dad was an ag mechanic his whole life and he has a Snap On brand one that he used for work that I have taken out. It is pretty nice to have a reading you can see in 2 seconds. This product may not yet be on the market, but I presume it's accuracy to be second to none! 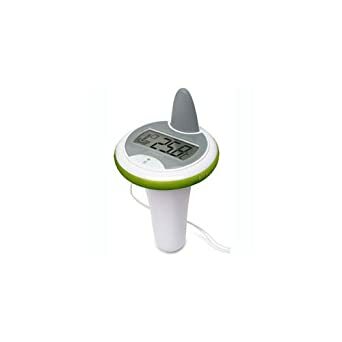 They make digital "point and shoot" thermometers that are easy to read and give an instant temperature. I suspect you get what you pay for however. I purchased the William Joseph brand infa red thermometer once and it worked great until it got wet. Why they didn't make it waterproof is beyond me. Is the Snap On one waterproof? I don't believe so, as it is made for the automotive industry. I was just very careful with it to avoid ruining it and upsetting my dad. I'm pretty familiar with the Snap-on unit. They're one of our customers and we (Applus) manufacture emissions testing and monitoring equipment. It's really accurate, but probably not appropriate for fishing, and it's pretty costly. Something similar that is compact, and lower cost, would be ideal. I've seen several laser type units like the William Joseph, but they're either not water proof (like Eddie mentioned), or they have horrible reviews. Does his eyes flash if the temperature is rising? 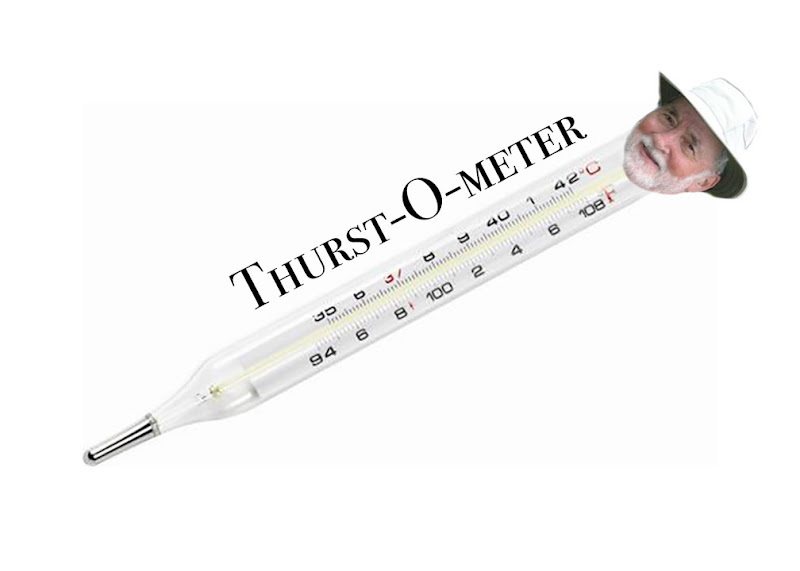 I've got one of these Oregon Scientific Water Thermometers - works great as far as I can tell. Probably overkill for this application, but I think it's pretty accurate, and it has a digital readout to a tenth of degree. It came as part of a personal weather station I received as a gift from the only family member who appreciates my nerd-dom :) Looks like you can buy 'em individually for about $40. It's meant to continually report to a wi-fi receiver, so I just open the battery cover and turn it on when I want to use it. Bill, do you want the Fish Pond thermometer back you found during a trapfest? Nah. I got one just like it, plus the other one that is out of calibration. But thanks for offering! I spoke with one of the engineers I work with who knows a bit about such stuff. He doesn't recommend using an infrared thermometer for fishing. They're prone to errors when reading off a non solid surface like water. Better off (in his opinion) with a mercury glass thermometer that you submerge. After thinking about it a bit, there are only two concerns for Trout fisherman regarding water temps: if the temp is rising or falling, and if it is in excess of 68 degrees - which can be harmful/deadly to Trout. Falling water temps are pretty easy to figure out without a thermometer by just observing weather conditions and the lack of Trout feeding activity. And even a miscalibrated thermometer can tell you if the temps are rising. So, I'll just keep using the "broken" one and spend the money saved on more fly tying supplies.